Get kitchen cleaning services in Chennai with a 30 Day Service Guarantee and Protection against Damage upto INR 10,000. We provide services like Deep Cleaning, Sanitization, Vacuuming, and our 4+ rated experts use well mechanised equipments to clean your kitchen at your chosen time & date. Our experts will provide you with on time completion of the project. Just pick a time slot as per your convenience and book an expert on UrbanClap and get the best kitchen deep cleaning in Chennai. perfect and excellent service by shri. T. N. Rajarathinam. Was friendly and provided cleaning service as per commitment. The person came late. Almost 90 minutes. By the scheduled time he had not reached far from his starting point. Could.have been planned better. I had got a deep cleaning.done from some other vendor 3 months ago. At that time the flooring looked as if it was a new house. Thia time it did not. It looked like a normal cleaning which I could have done myself. Not a remark on the person but I expected to see almost new tiles! Professional came very late. Completed the work and the service was better. The work was not properly. I ordered a deep cleaning and the personnel didnt do it. Also, he didn't place one fitting back in place. Excellent work and bath room got fresh. Was punctual. Did a good job. Was also very courteous. Awesome work....Clean my entire kitchen professionally .... Friendly guys and quite cool.. Fantastic service! Dedicated staff! Well trained! Very good hard working boys, but lacked their own equipment and ended up breaking a brush, which isn't a big deal. But if one is paying so much, it is only fair to assume that they will come equipped with top of the Line cleaning materials. Being the busiest room of the home, it picks up a lot of dust and biodegradable wastes too, which makes regular cleaning crucial, say every week. 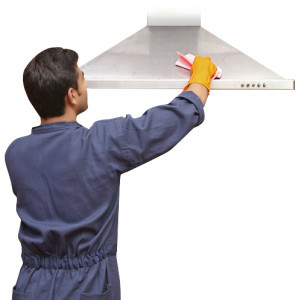 But kitchen deep cleaning should be done every once in a month to ensure a healthy breathing. To ensure the smooth kitchen cleaning process we suggest you to clear up all the vessels and disconnect the appliances like an electric chimney, refrigerator, food processor, etc. Make sure all the power points and the gas line are turned off. Once the cleaning is done, you can plug them back in. It usually takes 2-3 hours to deep clean one multi-utility kitchen. The actual duration depends on the carpet area of the kitchen and features like a number of cabinets, etc. We at UrbanClap use industrial grade products for cleaning and disinfectants which are odorless and leave no chemical waste behind. Which is why you can start working immediately after the kitchen cleaning is done. Yes, you can reschedule the booking using the option given in the App. Make sure you request for the same at least 24 hours prior to the booking time and date. We suggest that you request a rescheduling only in unavoidable situations as the professional you were assigned for might not be available. If you love cooking and yet take-outs and home deliveries are becoming a norm for you then a dirty kitchen might be the root of the problem. It might have become a dull and uninspiring place despite your best cleaning efforts. You need it to come to life and spark joy in your heart so that you feel like cooking in your kitchen. Therefore, you must consider hiring professional kitchen cleaning services. A kitchen cleaning company can help you deal with the stubborn grease, oil stains and bad odour. They will help you finally get the kitchen of your dreams. Save Time and Money: Many things in your kitchen have separate cleaning needs. Your kitchen floor, tiles, cabinets, windows, chimney, sink, etc. all need to be cleaned with different types of cleaning products. The equipment and techniques used to clean may also differ. And since most people do not have these products or equipment at home or know the cleaning techniques, they are not able to get the desired results. It is, therefore, advisable to leave it to the professionals. You will be able to actually save time and money if you hire professionals for kitchen cleaning services. Reduce Stress: Some people find cleaning their home therapeutic while others procrastinate as much as possible because they hate doing it. If you belong to the second group then instead of increasing your stress levels and trying to do a task that stresses you out, you can let the professionals take care of it. This will not only improve your mood but also give you the opportunity to still have an impeccably clean kitchen where you can cook delicious meals. Remove Bad Odour: Tadka is an integral part of Indian cooking. But it also makes the kitchen (and sometimes the whole house) smell like curry. If you do not deep clean your kitchen regularly, the smell of tadka will seep into everything in your kitchen. And, dirty kitchen ventilators and ducts will also amplify the problem since the smell will not be able to go outside. By hiring a kitchen cleaning company, you can get rid of the smell in your kitchen so that it smells fresh and looks clean. Improve Health: A dirty kitchen is more prone to get attacked by pests of different kinds including cockroaches, ants, bugs, fruit flies, rodents, etc. When you cook in such an environment, the possibility of these pests contaminating your food increases. This will mean that you and your family may be impacted by food-borne diseases often. Since prevention is better than cure, you should take strict measures to keep your clean and sanitised regularly. And this is only possible if you hire professional kitchen cleaning services. When Should You Book Kitchen Cleaning Services? Economical: UrbanClap offers kitchen cleaning services at affordable rates to its customers. This means that they can avail these services without breaking the bank. To protect our customers against loss or damage during the service, we also offer an insurance coverage of up to Rs. 10,000 for our kitchen cleaning services in Chennai. Desired Results: We are committed to providing high-quality kitchen cleaning services to our customers. Our professionals use industry-grade cleaning equipment and non-hazardous but potent chemicals to clean your kitchen and give you the desired results. This improves the working conditions in your kitchen and reduces health risks for you and your family. Verified Professionals: We, at UrbanClap, have stringent selection criteria so that only the best and trustworthy professionals get registered with us. We run background checks on them before registration and ensure that they have the relevant knowledge and experience to offer services to the customers. In addition to this, we take customer feedback seriously so that we can improve our services and also deliver the results our customers expect from us. What does our Professional Kitchen Cleaning include? Cleaning of electric fixtures such as ceiling fans, exhaust fans, switchboards, light bulbs, etc. External cleaning of kitchen appliances like refrigerator, microwave, oven, etc. What is the Cost of a Kitchen Cleaning Service in Chennai?